My 2006 Honda civic 160k miles is making a loud whirring sound when hitting the gas. It makes a slightly different noise when turning as well. I took it in and they said it was the water pump so I got that replaced as well as a front motor mount. After driving for around 4 hours the noise started up again. I took it in again and they said it was the tensioner pulley so they replaced that too. Again about 4 hours later the noise is back. Might anyone have an idea what is causing this noise? Not from this far away. There are techniques to isolate the noise but we sure can't do that from here. It appears you need a different mechanic that can actually pinpoint the cause accurately. Could have something to do with the power steering pump. 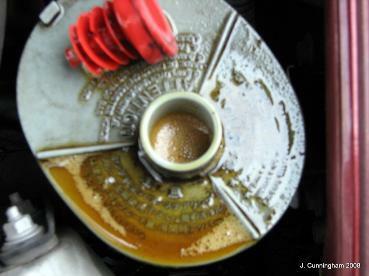 If the fluid gets aerated (foamy), it could make a noise while turning or speeding up. When the noise is happening are there a lot bubbles in the power steering reservior.